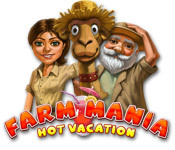 Farm Mania: Hot Vacation is rated 4.9 out of 5 by 12. Rated 5 out of 5 by Bumbles2 from Great TM game that will entertain you for many hours !!! It is your job to raise different animals along with some fruit and vegetables and then sell them so you can buy more equipment and upgrade certain items !!! As you progress through the game you'll see that even the animals on your farm have changed...this is because you've progressed to another country...I"m now milking a camel instead of a cow for example...LOL I know that you'll enjoy this...try the demo and see for yourself !!! Rated 5 out of 5 by hermette from Love Love Love This Game!! This is probably the only game you will see me rate at the very top. I love it! I've had it for years and still love to play it. It's challenengeing yet doable. Why is there not another Farm Mania? Why not give us games we love, instead of phasing them out and replacing with time management games that just fizzle? Come on BigFish, Many of us have been loyal members from the time your site began. Help us love BigFish again!!! Not everyone is in love with all those mystery hidden object games. Rated 5 out of 5 by TheMillners from The Best Game I've played yet! This is a very fast pace game! Very addictive, I play this game every nite. I have finished all the levels and started over again. I liked the other Farm Mania games also, but this is the best! Waiting for the next one!! Rated 5 out of 5 by sakneer from Fun & Heart Pumping I love time management. This game is definitely on my top favs now. Fast paced, heart pumping (due to time clock ticking) and fun! Next!!??!?!?! in the series/collection... YES PLEASE! Rated 5 out of 5 by jessangel from Great value for a great game Totally addicted to this game. Only downloaded it because I needed a new game and found a brilliant game. So then downloaded FM 1 & 2. Fantastic game and well worth the money spent with over 40 levels! Rated 5 out of 5 by Winklepots from Got the Mania, Let's do it Again!! I own the second and third of this series, but I have to say that the third is my favorite! I do think it's kind of funny that the characters decide to take a break from farming to go on vacation, only to travel the world entering farming competitions in different countries. :o) The different locales is part of the reason this game is so much fun. The graphics, story and music are all great. Sometimes I turn the music volume down just because I've played it so much, the music can get a bit repetitive. Gameplay: You build up your farm, almost from scratch, each time you go to a new location. Though, you do get to keep any worker power-ups that you purchase. You'll add new animals and crops that tie in with the location. Like camels in Egypt and rice in China. 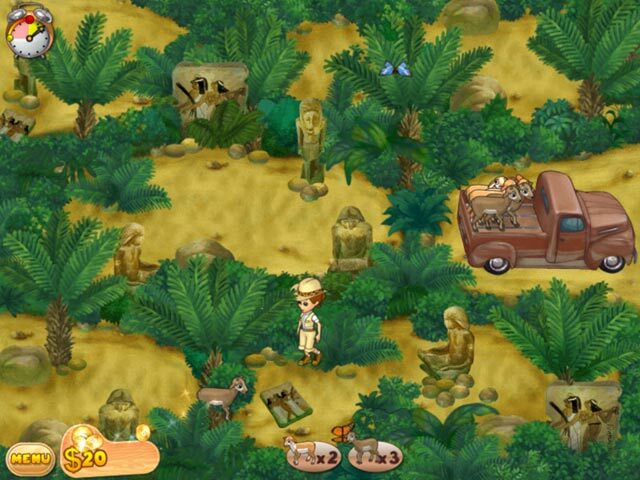 About every 5 levels there is a mini game of finding the lost animals, which they've done in both the previous versions of this game. You can locate hint butterflies to find any animals you've missed. After you've completed the game on normal mode, you then unlock arcade mode which is exactly the same, except that you have far less time to complete each level. There are a couple of levels where timing is absolutely everything, if you ever hope to achieve the elusive expert score. Hours and hours of fun and like i mentioned in the beginning, a repeat play kind of game. I can't wait until the next one! Highly recommend this one if you love farming and/or time management games. Rated 5 out of 5 by sparklefish777 from Fun Farming Game! This is a fun game. It is challenging enough without being too easy or hard. I love the graphics; they're clear, bright and cheerful. You can travel to Australia, Egypt and China. Grow vegetables, raise sheep and other livestock, go fishing, and make products. Keep intruders like hyenas out of your pastures. Grandma and grandpa are your helpers but you must tell them what to do. I really like how you have certain requirements for each level, but you can do extra chores to earn more coins. Finish in the required time but the game will allow you to stay on the level until you are done and it's getting dark.You can also sell your extra animals and upgrade your equipment. Great game! 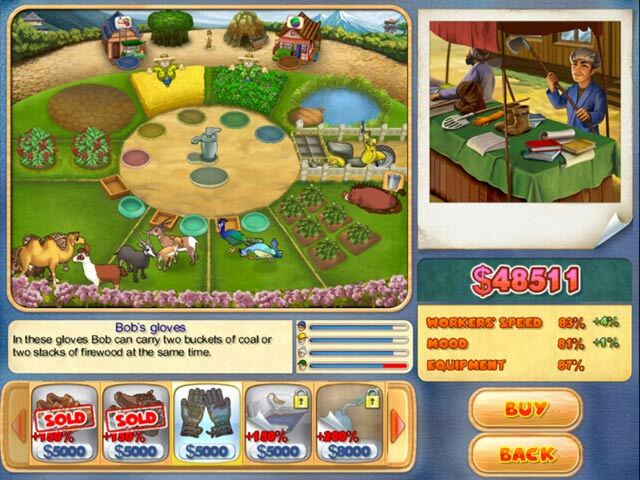 Rated 5 out of 5 by cowclaudia from Best of the three I love all three of these Farm Mania games; this is the best. Have played several times and keep trying to beat my score. Love the animals. At the end there was a "to be continued" and can't wait for #4. Rated 5 out of 5 by Pucktweety from Excellent! 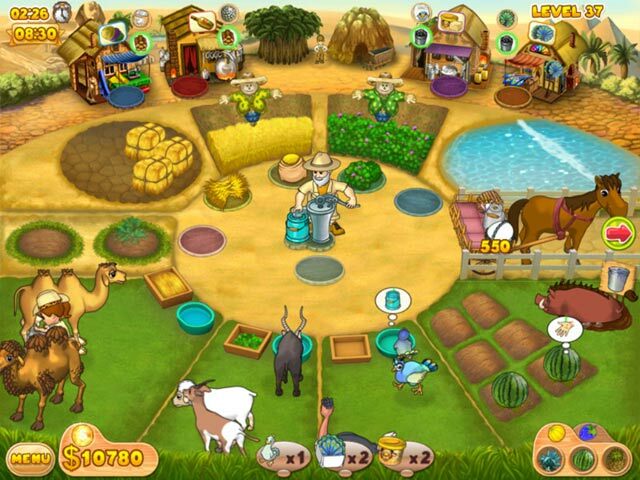 Farm Mania is one of my favourite games on BFG and I absolute love this sequel. What is good about it is that it takes what I loved about the first one and keeps it the same but adds enough new things and detail, and a great story, to make it a great game without being *too* like the first one (although essentially it is the same game play - it shifts enough to not be exactly the same). The graphics are brilliant, the sound quality excellent, it is SO fun and the harder levels provide adequate challenges! As always the mini-games are cute and fun too! Rated 5 out of 5 by merlinarcane from Great Sequel This is one of the best series of TM games! The challenges on each level are simple enough to complete each time but not always easily done at the Expert level. I kept coming back to Farm Mania 2 and then decided to try this new twist. This game puts you to the test to develop crops, fulfill orders, plan your beasts and crops, and figure out the minigames. Too bad there are not more TM games of this caliber! I SO recommend this game! Spend the greatest vacation ever traveling around Australia, Egypt and China! Dive into unforgettable farming fun!